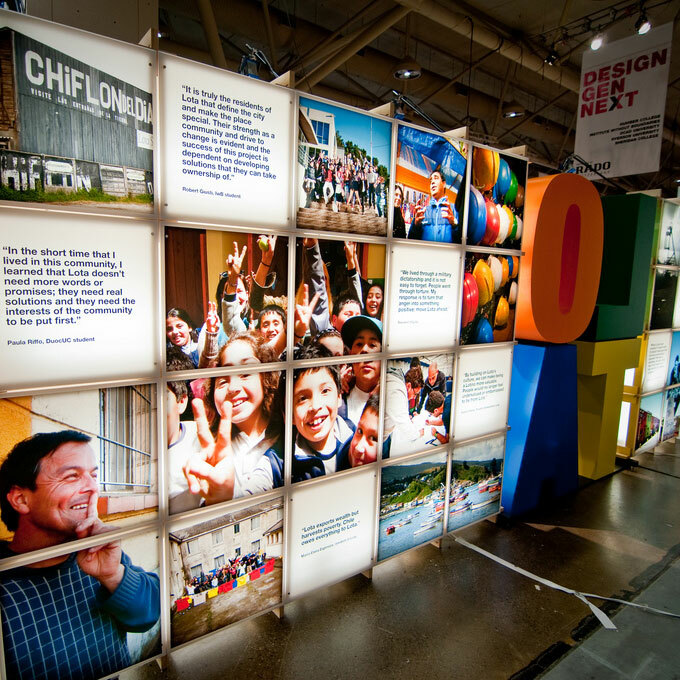 The Interior Design Show (IDS) began in 1999 as Canada’s premier showcase of new products, designers, and avant-garde concepts from North America and the international market. The IDS takes place every January for 3-4 days. Aside from its focus on industry innovation and emerging professional design, it has also made it its mission to support student design work. Yearly, the IDS includes a prominent student pavillion, where educational institutions and student start ups can feature their work and gain exposure to the local and international design community. Since 2006, the IwB and the George Brown College School of Design students have taken part in the IDS. The exhibits they have created with IwB and School of Design faculty have received distinction and honors for their design excellence and exhibition execution. The aim of the Institute’s participation in the IDS has been to show IwB and School of Design student talent by showcasing the Institute’s projects and methods. Given that the IDS attendance has almost doubled since the show’s inception and that it continues to be the premier space for the design sector, participating in the IDS has proven to be a great experience for our students because it is an opportunity to develop exhibition creation skills and be exposed to the professional design market while synthesizing the research themes of the particular study year and sharing the knowledge learned with the public. A key feature of the IwB IDS booths has been to use the public’s participation in the exhibition to gain responses to the work of the students. Taking each project into the public domain, gives an opportunity to gain knowledge and insight into the issues investigated. Since the first year of the Institute in 2005-2006, the IwB and School of Design students have used the IDS booths to display their work at the Institute, utilizing unique exhibit techniques that have been recognized for their design excellence by the IDS committees. The IwB booths have been repeated recipients of the Best Student Exhibit, the Rado DesignGenNext Award, judged to be the best of a field that includes student work from an array of national design programs. Some of the booths have even travelled internationally, like City Systems (2010) that was invited to travel to Milan’s International Design Exhibition, the ‘Salone Del Mobile,’ as part of an exhibition of green thinking in design. Below are summaries of some of our best IDS student booths. Contact us for more information on any of these projects. To the left a detail from the World House Systems Timeline. More on this project on the World House Systems project page. For the 2008 IDS show, the IwB students developed a newspaper explaining the IwB and World House projects for the government of Costa Rica. During 2008, the IwB was working on rural renewal in the developing Guanacaste region. The Institute was exploring ways to balance the impact of global tourism on local communities. The Ideator discussed the IwB’s experiences in Costa Rica and showcased the Institute’s designs for a social housing prototype unit, its work to make vibrant sustainable public village squares in the area, and the completion of a regional plan linking resorts with villages to make a holistic tourist ecosystem. 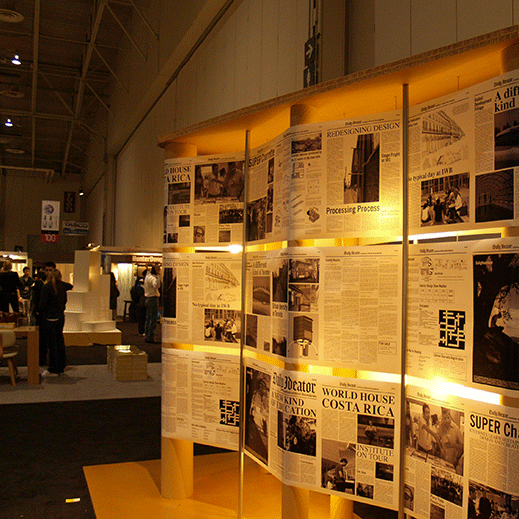 For the 2008 IDS booth, the students transformed the Ideator Newspaper, scaling it up, stretching and exhibiting it over an illuminated showcase. For more information on the IwB’s work in the Guanacaste region see the Costa Rica project page. The booth was a sketch of a ‘complete street.’ It was designed for playful interaction with image and text inscribed rotating cubes that could be adjusted by IDS visitors. The exhibition showed ways that individuals could renovate a street in their neighbourhood into a ‘complete street’ through individual interventions and projects. It demonstrated the the dynamic and direct relationship between the individual and neighbourhood-scale change. 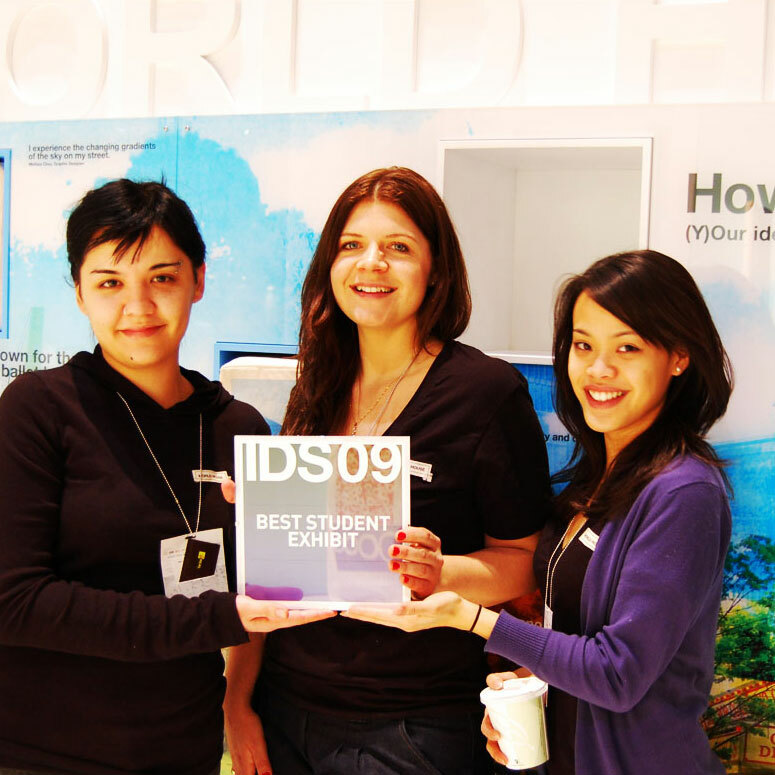 The 2009 IwB IDS booth won the Best Student Exhibit Rado DesignGenNext Award. 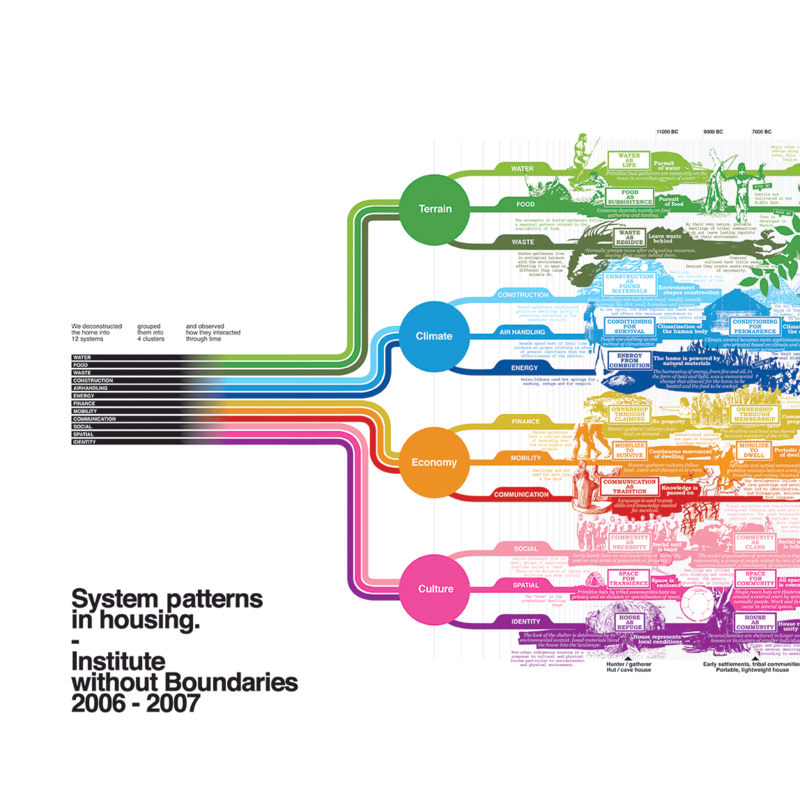 The students of City Systems year 1 (2009-2010) created an IDS display that explored urban life as a series of systems. The concept for the exhibit came out of the work the students were doing with the Toronto Community Housing Corporation on the rejuvenation of Flemingdon Park (see the Flemingdon Park project page). 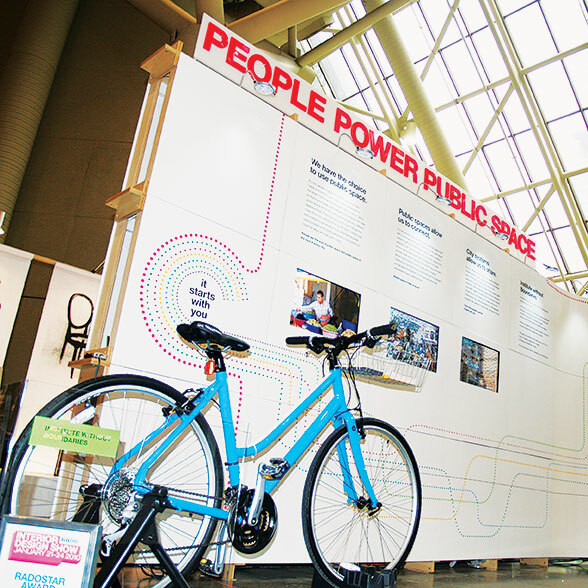 The People Power Public Spaces IDS booth won the Best Student Exhibit Rado DesignGenNext Award. The booth also travelled to Milan for a renowned International Design Exhibition. In 2010-2011, the IwB was working on a revitalization plan for a small municipality in Chile called Lota, a city that was devastated by an earthquake and was facing serious economic decline. The IwB students created an installation at the IDS that intended to build awareness for the Lota Project and showcase their range of experiences in Chile. The front of the booth had a brief project description and showcased a large black and white image of the City of Lota and asked users to bring the image to life by placing translucent coloured tiles over the cityscape. Through the collective efforts of the audience, the image was transformed overtime and began to reflect the colours and optimism that the Institute’s students and staff experienced while visiting Lota. An unintended consequence of this was that users began signing their names on the tiles using dry-erase markers and contributing messages of hope, inspiration, and support for the project. The booth was extremely successful at the IDS 2011 and was widely written and blogged about, including features in Azure Magazine as well as Design DNA’s Blog. At the 2012 IDS the IwB students developed an installation mimicking supermarket aisles, together with large-scale ‘for sale’ signs and receipts. On the ‘store’ shelves were a range of products in boxes and cans, only the products were not actual items but instead were lined with messages about life choices in contemporary city suburbs. 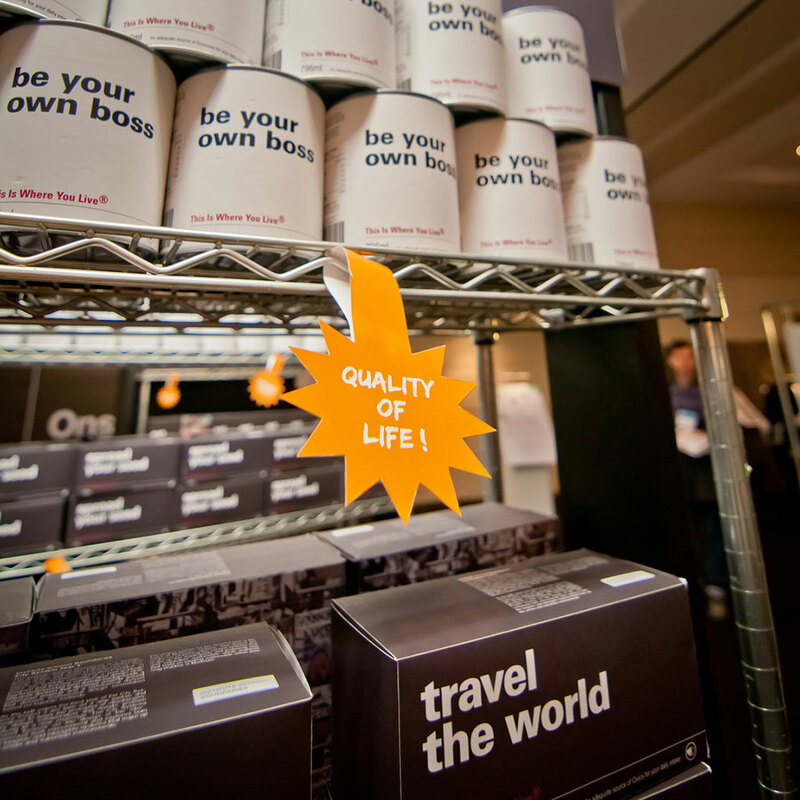 ‘Walk,’ ‘eat local,’ ‘commute to work,’ and ‘be your own boss’ were some of the ‘products’ that visitors could pick up at the booth. The concept for the 2012 installation came from the Institute’s work with the City of Markham. In 2012, the IwB looked at ways to change infrastructure and make service design improvements in Markham to promote public pride and engagement and proposed COLAB–a pilot change lab for the city that would enable implementation of new ideas and introduce an interdisciplinary perspective.